Jonathan Gaumer was born on June 24, 1822 in Washington Township, Muskingum County, the son of Daniel and Hannah (Baughman) Gaumer Sr. As a three-year-old boy, he moved with his family to Salem Township in Muskingum. He died ... when seventy-three years of age, leaving his family the priceless heritage of a good name. He was always honorable and upright in everything that he said and did, his entire life being in harmony with manly principles and with motives that would bear the closest investigation and scrutiny. His memory is yet cherished by those who knew him and this work would be incomplete without mention of one who was long a worth citizen of Muskingum county. When he was age 24, on Oct. 25 (or Dec. 25), 1846, he was united in wedlock with Mahala Barrett (1824-1915) in a ceremony taking place in Muskingum County. She was the daughter of John and Rachel (Heskett) Barrett of Loudoun County, VA who had migrated to Adams Township in 1820 and acquired a farm of 160 acres, "entirely wild and unimproved." They produced nine children -- Thomas Melancthon Gaumer, Charles Newton Gaumer, Hannah Jane Buker, Rachel V. Palmer, John O. Gaumer, Daniel Harvey Gaumer, twins Martha Gaumer and Mary Dean, and Cinda Alice Barr. Sadness blanketed the family in 1858 when their son John Oliver Gaumer died at the age of three. Demonstrating Jonathan and Mahala's love for the heritage of their Lutheran faith and hereitage, they gave their eldest son the middle name of "Melancthon" -- in memory of theologian Philip Melancthon, a contemporary and collaborator of Martin Luther in 1500s Germany who together were shapers of the Protestant reformation. Melancthon was professor of Greek at the University of Wittenberg, and his authorship of the Augsburg Confession is widely considered as the most influential document of the Protestant Reformation movement. In the year 1867, he was caught up in a federal investigation of voting irregularities and gave a sworn deposition that, in Salem Township on Oct. 9, 1866, he had served as an election clerk in a disputed congressional vote. His brother Lebanon Gaumer and relative Riley Gaumer also gave similar testimony in the case. The book Biographical and Historical Memoirs of Muskingum County, Ohio, states that he was "among the old time school teachers" of Adams Township. He also is mentioned in volume 1 of Abraham J. Baughman's book History of Richland County, Ohio, from 1808 to 1908, which mentioned that he was "a carpenter and farmer." The Gaumers owned a prominent home in Adamsville, where Jonathan at one time served as federal postmaster. They were active in the New Hope Evangelical Lutheran Church. For six years, he was Adams Township clerk and was politically aligned with the Whig Party until its dissolution. After more than three decades of use in a two-story brick building, on property donated by Jonathan's grandparents, the New Hope Church was falling apart and considered unsafe for occupancy, although some felt it was still in good condition. The building's owner, the General Synod, tore it down and sold the bricks, which it had the right to do, but which caused controversy. As a member of the building committee, Jonathan donated one acre from his farm for this purpose, and on May 14, 1870, a cornerstone was placed for a new frame building. It measured 42 ft. by 70 ft., was completed at a cost of $6,000 and dedicated on May 28, 1871. The New Hope Church services were conducted in German up to the time of the Civil War. When the last of the German-speaking pastors retired, the new pastor faced criticism, and factions broke out pitting English progressives versus German traditionalists. Mahala lived for another two decades after the loss of her husband. 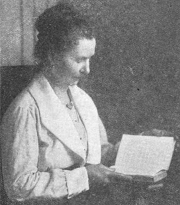 The Past and Present of Zanesville book says she was "a well preserved woman" who "has long been a devoted member of the Lutheran church.... She was stricken with senile paralysis and hardening of the arteries and died at age 91 on Nov. 9, 1915. Her son Charles Newton Gaumer of Mansfield, OH signed her official Ohio certificate of death. Son Thomas Melancthon Gaumer (1848-1893) was born on Feb. 2, 1848 in Adamsville. He received his middle name in honor of Philip Melancthon, a friend of Martin Luther of 1500s Germany who together were theologians and shapers of the Protestant reformation. On Sept. 19, 1875, at the age of 27, he married 23-year-old Eliza Margaret Cone (1852-1929) of Muskingum County, daughter of Barton and Julia Ann (Walker) Cone. They produced three children, among them Bruce Barton Gaumer, Charles Edmund Gaumer and Frank Cone Gaumer. At the time of marriage, Eliza had been a school teacher for five years. Thomas obtained his undergraduate education at Dennison University, after which he taught school for several years. He then pursued a medical degree at the Cincinnati Medical College and spent five years practicing medicine, beginning at Wyandotte County, OH. In 1880, census records show this family living in Adamsville, Muskingum County, where Thomas operated his practice. He "was a distinguished physician and practiced his profession for a number of years until engaging in the publication of the Democrat at Urbana, Ohio," said the 1905 book Centennial History of Butler County, Ohio. Through the medium of this paper Dr. Gaumer became widely known throughout the state as an able, forceful writer and during his editorial experience he wielded a strong influence for the Democratic party and had much to do in formatting its policies, directing its campaigns and leading it to victory in a number of hotly contested struggles. He possessed great force of character, made his presence felt in whatever circles he moved, and excelled in all of his undertakings. He achieved eminence as a physician and surgeon, as well as a journalist and politician, and adorned his professional by a number of years of successful practice. Mr. Gaumer comes from a family that has long been active in the Democratic party and, like his predecessors, he too has won a prominent and influential position in its councils, and through the medium of his able editorials has done much to strengthen its interests and promote its success wherever he has wielded the pen. 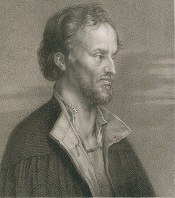 As a writer, he is polished and trenchant; thoroughly informed in the history of political parties, he brings to his aid a well-disciplined mind, a memory of men and measures seldom at fault, and, though ordinarily calm and genial in the use of his pen, he is at no loss when the subject requires those keener thrusts which tell upon the position and vitality of an antagonist. Essentially dignified and fair in discussing the live issues of the day, he has little patience with what is popularly termed "yellow journalism," and such papers as come under this head he either ignores altogether or dissects with the merciless analysis which utterly vanquishes the contestant. Since taking charge of the Signal Mr. Gaumer's ambition has been not only to make it an influential political sheet and the reflex of party sentiments in this part of the state, but also to raise it to the standard of a creditable family paper whose columns shall vibrate with the public pulse and through the medium of which all the news of the day shall be given in a terse and attractive form. It is not too much to say that the career of a newspaper man is richer in possibilities than practically any other vocation in life. His business is to find out what other people are doing, and having found this out, to present such of it to the public as in his judgment the public should show. Too often the editorial management finds itself in conflict with the business management of the newspaper. Just what shall be said of the citizens of the community the paper serves, and just how much, are two considerations that the editor must face day by day. Shall he tell all he knows of official shortcomings or shall he keep such facts out of the paper -- if a promoter comes to his city with a dubious proposition shall he tell his readers about it -- if anything goes awry in the community shall he set forth the facts? In other words, it is a wise man who can run a paper these days and do full justice to both the editorial and business sides of his paper. Charles E. Gaumer is a newspaper man who has tried to the best of his ability to manage a paper from both viewpoints, and the results of his efforts show that he has been attended with an unusual degree of success. In June 1918, Charles was appointed examiner of the Ohio State Securities Department, replacing Henry Farrell of Xenia, OH. More will be added here when learned. Granddaughter Lois Hahala Gaumer (1899- ? ) was born on Nov. 30, 1899. Grandson Edmund Landis Gaumer (1901- ? ) was born on Jan. 29, 1901. Granddaughter Robbin Irene Gaumer (1906- ? ) was born on May 14, 1906. In a peculiar sense newspaper men are like poets; they are born rather than made. Theirs is a gift in somewhat the same sense that the ability to write poetry is a gift. The trite expression -- "a nose for news" -- means all that it say, and he who is not born with the newspaper nose never attains the highest pinnacle of newspaper success. The operation of a newspaper at the present time is a farm different proposition from what ti was in the days of Benjamin Franklin, and the part the newspaper man plays in the life of the community served by his paper is constantly increasing in importance. It is is duty to follow the life of his fellowman from the time he was born until his death: to chronicle both events, and set forth for the public eye all that he does between these two important dates. it may be said that no man in the community knows more about what is going on -- it is a part of his business to know -- and the best newspaper man is the one who comes the nearest to being in touch with all phases of the life of the people he seeks to serve; in other words, he must, in a sense, be omniscient; he must be cosmopolite. That Frank C. Gaumer measures up to a high standard in the newspaper world is evidenced by the success which has come to him in the management of the Urbana Daily Democrat. When Frank took control of the Democrat in 1899, it "was a small affair, humbly housed, with a wavering circulation, with meager equipment, and with little prestige in the community," said the History of Champaign County. He built it to a circulation of 5,000 subscribers, acquired the Urbana Daily Citizen and added two new Mergenthaler linotype machines for setting type. He learned that he could make more money handling commercial printing for others as well as publishing a newspaper, and he set type for the weekly American Friend newspaper and monthly Missionary Journal, produced by the Society of Friends. In the community, he was a member of the Lutheran Church, the Masonic order and the Shrine. Sadly, at the age of 44, Frank contracted a deadly case of influenza and bronchial pneumonia. He was admitted to the Grant Medical Hospital in Columbus, but his health declined and he succumbed on Sept. 27, 1924. Burial was in Urbana. An obituary in the Zanesville Times Signal said he was "a successful newspaper and catalog publisher [and for] the past 23 years he had been head of the Gaumer Publishing company and was widely interested in other enterprises there. He was one of the best known publishers in central Ohio and was associated with his brothers, Bruce and Charles Gaumer, in the business." The Times Signal also noted that he had "a large number of relatives in the Adamsville and Otsego neighborhood." Son Bruce Barton Gaumer (1883-1956) was born in 1882 in Adamsville, Muskingum County. Following in his brothers' footsteps, he went into the newspaper business and in 1901 moved to Terre Haute, IN, where he worked as a reporter for the Terre Haute Gazette. The following year, he joined a newspaper in Newark, OH. Then with his uncle Joseph Cone, he bought the Union County Journal in Marysville, on Aug. 4, 1904. On Feb. 7, 1907, at the age of 25, he married 29-year-old divorcee Mary Dennis (Kirby) Lewis (1877-1948), daughter of Marysville dry goods merchant Abel Gilbert and Phoebe (Embree) Kirby Sr. He was six years younger than his bride. Rev. Marshall Harrington officiated. Clara Maude Liggett was the bride's attendant, and the best man was Bruce's brother Frank. In addition to Bruce's widowed mother, among the attendees were his uncle and aunt, the Hon. 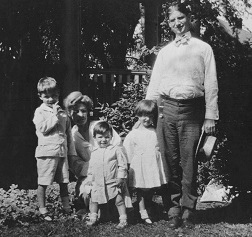 Charles Newton and Susan (Slater) Gaumer; Assistant State Insurance Commissioner John Brooks and his wife; and Mabel and Margaret Moore of Columbus. Bruce and Mary spent their lives in Marysville and had two known children -- Frank Thomas Gaumer, David Daniel Gaumer and Mary Elizabeth Behrens. Sadly, son David died of colitis at age 18 months on Sept. 25, 1919. The family resided at 271 West Seventh Street. The Journal was a weekly newspaper until 1915 when it became a twice-a-week publication. Its offices were located at 121 West Fifth Street. Sadly, Mary suffered a heart attack and passed away at the age of 71 on Oct. 22, 1948, in the old homestead house once owned by her parents. Burial was in Oakdale Cemetery in Marysville, with Rev. Rodger B. Silbars officiating. After 46 years at the helm of the Journal, the now-widowed Bruce bought the Marysville Tribune in December 1950. He merged his two papers into one, naming the new product the Marysville Journal-Tribune. Sadly, Bruce died on Dec. 4, 1956. [Find-a-Grave] His son and daughter, Frank T. Gaumer and Mary Elizabeth Behrens, inherited equal shares of the paper, and F.T. sold his half to his sister and her husband Winfield in August 1960. Granddaughter Mary Elizabeth Gaumer married W.E. Behrens. They had two sons, David G. Behrens and Daniel E. Behrens, who later took control of the Journal-Tribune. Today the paper is in its fifth generation of Gaumer/Behrens ownership, and is run by Daniel E. Behrens' son Kevin. Bruce's legacy also is honored in Marysville by being pictured in a mural on the side of the Journal-Tribune building, posed with his grandson Daniel Behrens and great-great grandson Berkley Behrens. Grandson Frank Thomas Gaumer (1913-1988) was born on July 22, 1913. He studied for two years at Denison University and then obtained his bachelor's degree in journalism from Ohio State University in 1935. His first job was as editor of the twice-a-week Union County Journal in Marysville, owned at that time by his father. At the age of 27, he married 24-year-old Elizabeth Huffman (1915- ? ) on Sept. 8, 1940 in Union County. She was the daughter of William Lloyd and Madge (West) Huffman. Rev. John Alvin Stuart of Marysville officiated. They produced four children -- Thomas H. Gaumer, William B. Gaumer, Carol Kientz and Martha G. Miller.He built the Journal's circulation and in 1951 helped acquire a rival newspaper, the Marysville Evening Tribune, with the combined paper operating in offices at Main and Fourth Streets. Upon the death of his father in 1956, he was named editor and publisher. Said the Journal-Tribune, "Although he was in overall charge of the paper, he was equally at home getting his hands dirty in the production plant. He could take apart and reassemble a linotype as easily as he could write a news story." Active in the community, he was a member of the Marysville Chamber of Commerce, the Charter Commission, Union County United Appeals (forerunner of the United Way) and Marysville Kiwanis Club. He sold his share of the paper in 1960 to his sister and brother in law, Mary Elizabeth and W.E. Behrens, and turned his life to education, working as an instructor at Ohio State's school of journalism. In the 1970s, he "resurrected the Ohio Journalism Hall of Fame and led it through its first three years," said the Journal-Tribune. He also was president of the Union County Historical Society, Marysville Civil Service Commission, Memorial Hospital Meals on Wheels and authored a weekly column headlined "My Two Cents Worth." Elizabeth was a longtime teacher in the Upper Arlington School District, beginning in 1969. At the age of 75, Frank died in Riverside Methodist Hospital in Columbus following surgery for a brain ailment. At the time, their son Thomas was metropolitan editor of the Cleveland Plain Dealer; son William was a process engineer with Northrup Corporation in Anaheim, CA; daughter Carol a teacher of English at Tri-Rivers Career Center in Marion, OH; and daughter Martha G. Miller in Columbus working as an attorney and assistant vice president with BancOhio National Trust Group. Son Charles Newton Gaumer (1849-1928) was born on Nov. 19, 1849 in Adamsville. After completing his grade school education, he became a teacher and spent five years performing this work. At the age of 25, on Oct. 22, 1874, he married Susanna "Susan" Slater (1853-1940), daughter of prominent farmer Harrison V. and Jane (Walker) Slater of Adamsville, and granddaughter of War of 1812 veteran Anthony Slater. They built a residence at 30 South Mulberry Street. He then entered the field of journalism as city editor of the Zanesville Signal, and after a short time, when he had become familiar with newspaper publication its various phases, he purchased the St. Clairsville Gazette, taking charge on the 1st of November, 1873. He conducted that paper successfully until February 1, 1883, when he came to Mansfield and purchased the Shield and Banner, one of the leading weekly newspapers of Ohio. He continued to issue this as a weekly paper until June, 1888, when he also established the Daily Shield, conducting the two until January 1, 1894, when the Shield Publishing Company was organized. Mr. Gaumer remaining as manager of the corporation until July, 1896, when he sold his interest and retired. During his ownership of those papers he acted alternately as business manager and editor, according to the needs of the situation and sometimes served in both capacities. The Shield has practically been the only democratic organ of Richland county, although there were two other democratic papers in existence when he entered the ranks of journalism in Richland county, but, like several others that have since been started, they were short lived. That as editor of the Shield he was an earnest and influential worker for the party is evidenced by the fact that democracy has never been so strong since as when he was publishing the Shield. Under his guidance and control the business was rapidly increased and he soon gained a large subscription list for both the weekly and daily editions, the paper proving a success from a financial standpoint as well as from an influential one. He at all times embraced the utilized the most advanced ideas in connection with modern journalism and gave to the public a dignified, but vigorous and entertaining sheet, devoted not only to political interests, but to the dissemination of local and general news, in such a manner as to insure the continuance of a liberal patronage. Charles became a director of the Bank of Mansfield and the Zanesville Tile Company and was an investor in other businesses. 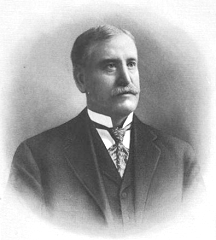 From 1890 to 1893, he represented Richland County in the Ohio General Assembly. He was appointed by Governor Herrick in 1905 to a five-year term on the board of trustees of the Ohio State School for the Blind in Columbus, an appointment renewed in May 1910 by Governor Judson Harmon. He also was a director of Wittenberg College in Springfield, OH and of the Young Men's Christian Association (YMCA) in Mansfield. He is named in the book Bosses and Boodle in Ohio Politics: Some Plain Truths for Honest People, authored by Allen O. Myers. In the 1920s, their address was 376 Converse Avenue in Zanesville. Under the terms of Charles' last will and testament, he bequeathed $3,000 to the village of Adamsville to establish a public park. The village council voted to purchase five acres from Robert Keys, "near the north corporation line of Adamsville bordering on the Dresden road, adjoining the property of Leslie Lyons," reported the Times Recorder. It is a tract consisting of fairly level land nearest the village, with northern section rolling, suitable for grove purposes. The price of the land is $100 per acre." Councilmen voted to name the tract "Gaumer Park" in memory of the donor. The park was to be dedicated in August 1932 in coordination with the village's centennial celebration. The site took the form of a baseball park, with a grandstand built for spectators. Additional features included grading, tiling and grass seeding; a new road; backstop and toilets; a water well; and tennis courts. In 1933, Adamsville Mayor F.O. Hunt directed that 500 trees be planted on the site. After his death, Susan lived for another six-and-a-half years. She made her residence at 718 Converse Avenue in Zanesville, Muskingum County. Suffering from heart disease ("myocarditis"), she died in her home on April 14, 1940, at the age of 86. Burial was with her husband in New Hope Cemetery. Daughter Hannah Jane Gaumer (1851-1937) was born on Dec. 26, 1851. On Oct. 9, 1869, she was united in holy matrimony with Elijah F. Buker ( ? - ? ) of Adamsville, son of Alpha Buker. During the Civil War, despite being underage, Elijah wanted to join the Union Army. When his mother objected three different times, he ran away from home each time, but each time his mother came to bring him back. They had two sons: Howard Everton Buker and Herbert Buker. The family dwelled in Salem Township. Elijah was a member of the Methodist Protestant Church, the Masons and the Knights of Pythias, while Hannah belonged to the New Hope Evangelical Lutheran Church. Elijah passed away sometime before 1905. Circa 1905, when named in J. Hope Sutor's book Past and Present of the City of Zanesville and Muskingum County, Ohio, the widowed Hannah made here home in Adamsville. She remained there as of 1928 when named in the Zanesville Signal obituary of her brother Charles. In 1936, when she was age 85, she received special honors and was mentioned by name in the Zanesville Signal when the family church observed its 125th anniversary. The article said that she was "the oldest member of the church in point of membership. It was her grandfather, Jacob Gaumer, who deeded the tract of land for the first church, and her great-grandmother who was the first person interred in the cemetery. It was her father who donated ground for the present church." She died the following year, in 1937. Son Herbert Buker ( ? - ? ) was a printer in Zanesville. He is named in J. Hope Sutor's 1905 book Past and Present of the City of Zanesville and Muskingum County, Ohio. Daughter Rachel Virginia Gaumer (1854-1941) was born on St. Patrick's Day 1854. She spent her entire life in northern Muskingum County. She married David R. Palmer (1845-1933), son of James and Emeline (Abbot) Palmer. In 1905, they moved into Dresden, OH where they made their home for the rest of their lives. They produced one son, Dana C. Palmer. When named in J. Hope Sutor's 1905 book Past and Present of the City of Zanesville and Muskingum County, Ohio, David for 23 years had "been upon the road as a traveling salesman." In 1928, when named in the Zanesville Signal obituary of her brother Charles, Rachel was still in Dresden. Sadly, suffering from chronic heart disease, David died on July 2, 1933, at the age of 87. Burial was in Dresden. Rachel survived him by eight years. She died at the age of 87 on Aug. 20, 1941, in her son's home. An obituary in the Zanesville Signal said she was a "member of an old Muskingum county family." Son Dana C. Palmer ( ? - ? ) was a music teacher and is named in J. Hope Sutor's 1905 book Past and Present of the City of Zanesville and Muskingum County, Ohio. He dwelled in Dresden in 1941 when named in his mother's obituary in the Zanesville Signal. Son Daniel Harvey Gaumer (1857-1898) was born on Nov. 11, 1857. On Christmas Eve 1882, at the age of 25, he was united in marriage with Emma Kennedy (1858-1930), daughter of John and Mary (Junkins) Kennedy of Marsalis, OH. A newspaperman, he became publisher of the Zanesville Signal newspaper. He was elected to the Ohio General Assembly's House of Representatives in the 1888-1889 term and then served as Zanesville's postmaster in 1889. The following year, he was elected to a one-year term on the state Senate representing the 15th and 16th Districts. He is named in the 1895 book Bosses and Boodle in Ohio Politics: Some Plain Truths for Honest People, authored by Allen O. Myers. "Across the dark River is wafted a shout! "My comrades call: '30' -- Life's Edition is out." As a widow, Emma survived her husband by 32 years. During that time, she resided "on the terrace in Zanesville." She passed away in Zanesville on Sept. 22, 1930, at the age of 72. Daughter Martha Gaumer (1861-1950) was born on June 15, 1861 in Salem Township, a twin with her sister Mary. The sisters attended the Burnt Mill school near Adamsville. Unlike her twin, she never married but devoted her life to her work. Said the Zanesville Times Recorder, "In her early life she was a schoolteacher and taught in Mansfield and at the Ohio Soldiers' and Sailors' Orphans home in Xenia as well as in Muskingum county." Circa 1905, she was a bookkeeper at a bank in Zanesville, and is named in J. Hope Sutor's book Past and Present of the City of Zanesville and Muskingum County, Ohio. When her brother Daniel was appointed postmaster in Zanesville, she worked as a clerk in the post office. In 1928, when named in the Zanesville Signal obituary of her brother Charles, she was residing in Zanesville. Circa 1929, she spent three months wintering in St. Augustine, FL. In about 1940, she and her twin moved into the Urban Rest Home on Maple Avenue in Zanesville, believed to have been located at 1015 Greenwood Avenue. Martha died in the rest home on Oct. 23, 1950. Burial was in New Hope Cemetery. Daughter Mary Gaumer (1861-1954) was born on June 15, 1861 in Salem Township, a twin with her sister Martha. The sisters attended the Burnt Mill school near Adamsville. Prior to marriage, Mary was a school teacher near Adamsville. She appears to given up this type of work upon her marriage. She was wedded to Joseph Dean ( ? - ? ). In 1905, Joseph served as Probate Judge of Muskingum County. They are mentioned by name in J. Hope Sutor's 1905 book Past and Present of the City of Zanesville and Muskingum County, Ohio. The couple made their home for many years in Xenia, OH. After Joseph's death, she became a teacher in Xeniz at the Ohio Soldiers' and Sailors Orphans' Home. In 1941, Mary shared a home with her twin sister at 1015 Greenwood Avenue in Zanesville. You may travel the Buckeye state over without meeting twin sisters as old... The sisters, whose combined ages represent a 176-year span of life, were born of Pioneer Muskingum county stock, being daughters of two well known Adamsville settlers, Mr. and Mrs. Jonathan Gaumer. About the time of their birth on a farm in Salem township Gen. McClellan assumed supreme command of the Union armies in the opening phase of the Civil War. Industrious and devout, both of them dedicated many years of their lives to the teaching profession, helping to educate hundreds of children who grew up in the Adamsville vicinity. Later, Mrs. Dean taught at the Soldiers' and Sailors' Orphans Home at Xenia, while Miss Gaumer worked at the Zanesville postoffice. In honor of two sisters whose long and useful lives form a direct link with the county's founding fathers, The Times-Signal is pleased to nominate [them] for the Weekly Gift of Imlay Roses. Mary died in 1954 at the age of 93. Her remains were placed into eternal repose in New Hope Cemetery, and rest beside those of her twin. Daughter Cinda Alice Gaumer (1865-1947) was born on June 19, 1865 (or 1967). Her name also has been misspelled "Sidney." She married Samuel H. Barr ( ? - ? ). They resided in Washington Township and had one daughter, Mary A. Barr. They all are named in J. Hope Sutor's 1905 book Past and Present of the City of Zanesville and Muskingum County, Ohio. In 1928, when named in the Zanesville Signal obituary of her brother Charles, Cinda resided in Zanesville. Her address in 1941 was 1237 Market Street, Zanesville. Jonathan & Mahala Gaumer and Thomas & Eliza Gaumer photos courtesy Bill Gaumer.